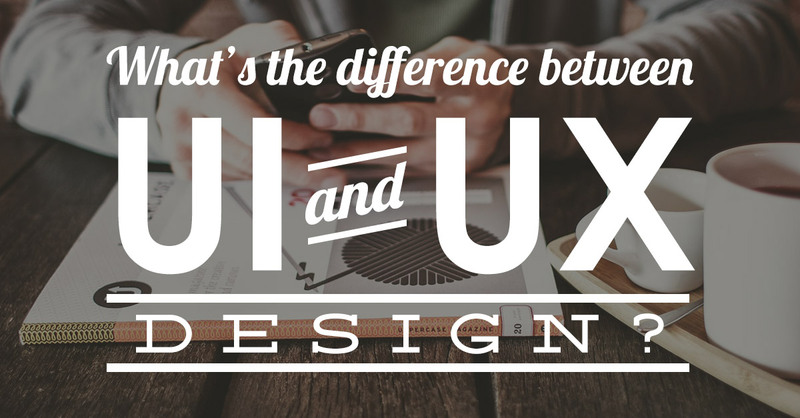 What's the Difference Between UI and UX Design? UX and UI are fairly new practices in the website design industry and is commonly misinterpreted. To help you determine the difference between UI and UX design, let’s begin with the most basic breakdown – what do these acronyms even mean? UX refers to user experience and UI stands for user interface, which are two separate entities. UX focuses more on the overall feel of a website and takes into consideration how the elements are perceived by a user. UI focuses on how the design is laid out and the tools used to deliver the content. Both these practices need to work together for a design to be executed effectively. Think of UI as a tool that helps a user communicate with the system. Some examples of interface elements on a website are buttons, layout, and links. It includes design research, user guides, implementation with developer, branding, graphic development, and adaptation to all device screen sizes. UI ensures that the style used is consistent throughout a design. User experience is the interaction itself and the results of using the interface. UX aims to answer the question “why?” It takes hierarchy into consideration, which elements should stand out more than others, and why certain information should appear before others. Good UX is the result of designing with a great understanding of the interface users. It can be developed with analytics analyses, usability testing, site maps, personas, and storyboards. It is not about what to create but more about what goal should be achieved. It could be to satisfy customers, generate leads, brand recognition, or increase engagement on social media platforms. Content is what people look for. UI is the presentation of the content. UX is the results if the intake. Though UI and UX represent different things, they work hand in hand together to create a successful product.